This state-of-the-art museum holds a world-class collection of real dinosaur fossils, full-scale dinosaur fossil casts and interactive displays. 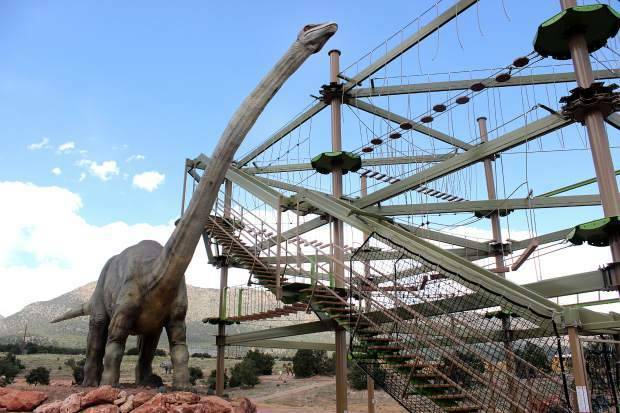 As a hands-on learning center, the Royal Gorge Dinosaur Experience has dusted off the fossils and brought ancient dinosaurs to life with their outdoor animatronic Dinosaur Wild Walk exhibit. Come face-to-face with these giants of the past as you hear them roar and watch them move in their prehistoric habitat. 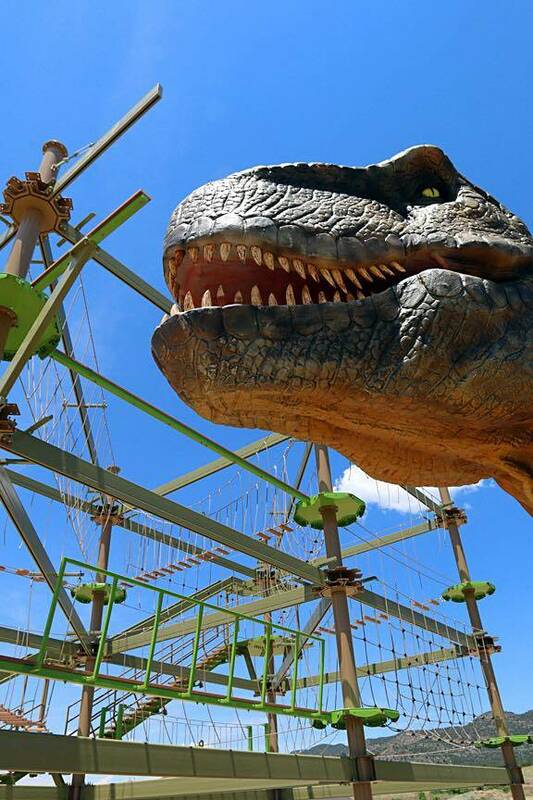 Enjoy the multi-story T-Rex Terror ropes course which incorporates old-fashioned family-fun with scientific education. You’ll feel like you’re in Jurassic Park as you traverse the course with a T-Rex staring you in the eye or a Diplodocus so close, you’ll be tempted to touch him. Canon City was put on the paleontological map in the 1870s when significant fossils were discovered. Highlighting the rich history of paleontology in the Royal Gorge region, the indoor exhibit displays dinosaur fossils and skeletons, as well as providing hands-on exhibits. Travel back in time and come back with a new love for old animals.